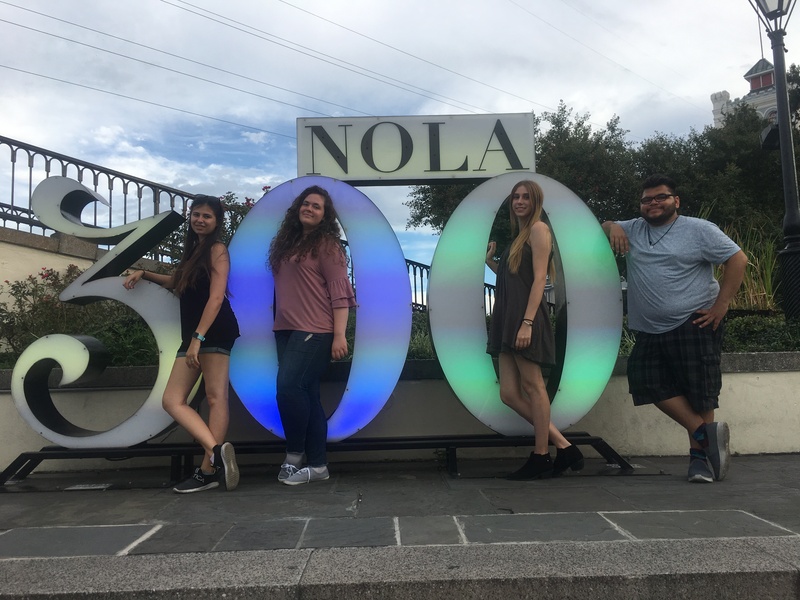 New Orleans – Senior Year – Another VIDEO! For my birthday, New Orlean was a blast! I had lots of fun with family and friends. I got to see Bourbon Street, Mississippi river, a swamp, an alligator, a cemetery, and got to see the famous cafe. My friends and I stayed up till midnight at Pat o’Brians and had their famous hurrainces. Then way later in day, we explored the city and went back to bourbon street, got a tour around the city for the hunted houses. Next day we all went to a swamp tour and got to hold an alligator; a baby that was about 3 years old. The whole trip was a lot of fun, best part in my opinion was the swamp tour. All of us where really looking forward to it. Coming home I spent the whole month preparing for school to start, doing my internship and working. Henceforth my senior year started in late August! It is just my 4th year out of 5 but I still qualify as a senior. I am really excited that I am almost done with school. For this year my plans include joining clubs and my schools government. My clubs include SCA (Student Communication Association), ASI Production, and maybe 22 West Media. So far my classes are going good, and I hope to keep it that way. I am really sifted for my upcoming trips I plan on taking. I am planning on going to Tokyo, Japan at the end of this year, and then Miami, Florida for spring break next year. I plan on filming my trips a lot more and to go on more adventures. Another adventure I recently had was that My family and I went to an Angels game on Saturday August 15 for CSULB’s Family Day. At the end of the game there was a mini concert done by Nick Jonas. Last Year at the same event, he did this mini concert for the campaign Strike Out Slavery on his birthday. This year he did the same campaign, and I was able to film one song and post it on youtube. I think it is amazing he is doing this campaign and the whole thing was really inspiring. Thanks for reading and I will be posting another video next week.